Anti-Pesticide Activists have attempted to FALSELY ASSOCIATE the increased risk of Parkinson’s Disease with pest control products. They do so through the use of GARBAGE SCIENCE and EPIDEMIOLOGY STUDIES. EPIDEMIOLOGY is the MERE STATISTICAL STUDY of diseases in humans. EPIDEMIOLOGY studies have been used to somehow VALIDATE EVERY CONSPIRACY against pest control products used in the Urban Landscape. EPIDEMIOLOGY studies have been used to somehow CONCOCT IMAGINARY LINKS between pest control products and health issues, such as certain types of cancer and Parkinson’s Disease. 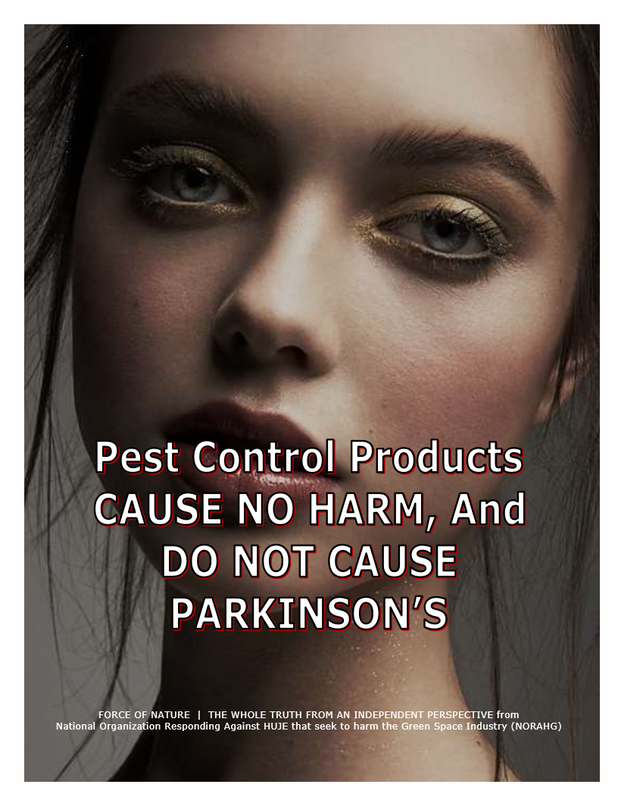 In fact, pest control products CAUSE NO HARM, and DO NOT CAUSE Parkinson’s Disease. 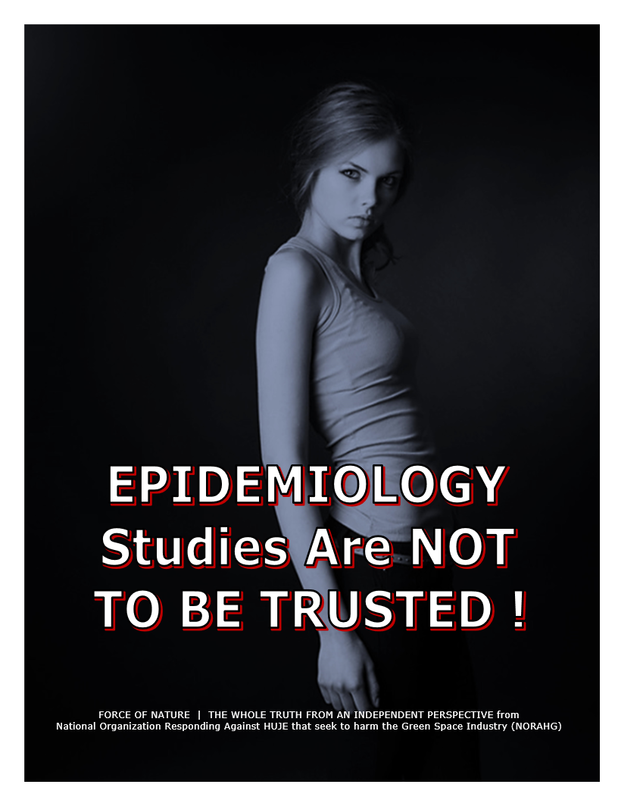 EPIDEMIOLOGY studies are NOT TO BE TRUSTED ! 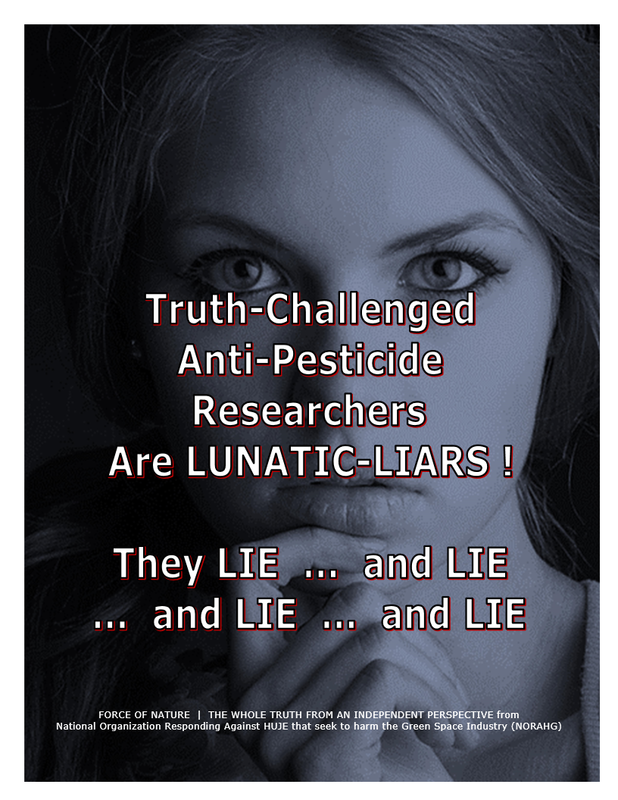 Anti-Pesticide RESEARCHERS will say ANYTHING to get their PAY-OFFS, including FAKING DATA and POINTLESS AND BADLY DESIGNED RESEARCH about Parkinson’s Disease. Anti-Pesticide RESEARCHERS have even been found GUILTY OF FAKING DATA associating pest control products and Parkinson’s Disease. INDISPUTABLE AND CONCLUSIVE SCIENTIFIC RESEARCH shows that, as reported through the VAST TOXICOLOGY DATABASE of Health Canada and U.S. Environmental Protection Agency, NO HARM WILL OCCUR when pest control products are used according to label directions. 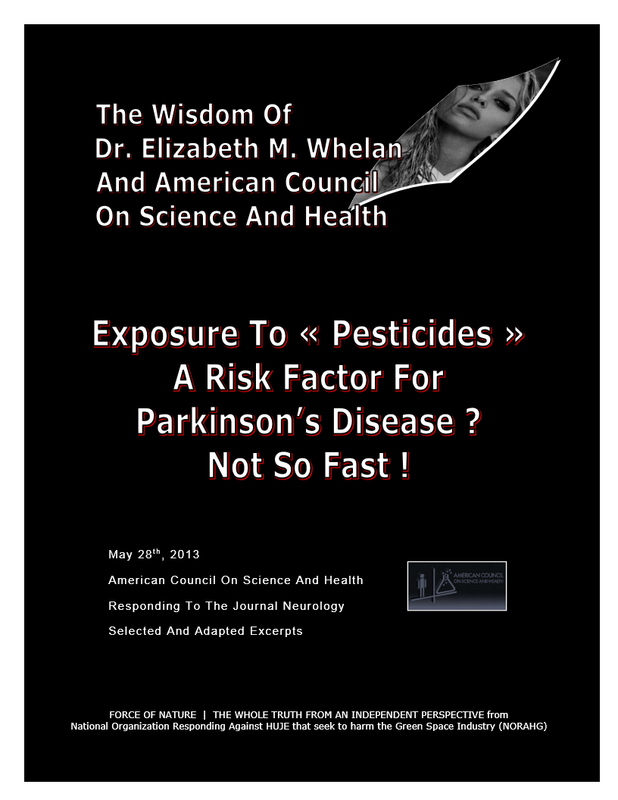 An Anti-Pesticide EPIDEMIOLOGY study, which NEVER DESERVED TO BE PUBLISHED in the journal Neurology, TRIED TO SUGGEST that there may be an association between pest control products and Parkinson’s Disease. According to Dr. Elizabeth M. Whelan and American Council On Science And Health, this study was a FIRST-RATE MESS and GARBAGE SCIENCE. It could be used as an illustration in a college text on « HOW NOT TO DO EPIDEMIOLOGY ». Even the authors of the Anti-Pesticide EPIDEMIOLOGY study were aware that DEFINITIVE CONCLUSIONS COULD NOT BE MADE. The American Council on Science and Health ( ACSH ) is a non-profit organization founded in 1978 by Dr. Elizabeth M. Whelan that produces peer-reviewed reports on issues related to food, nutrition, chemicals, pharmaceuticals, life-style, the environment, and health. A study published in the journal Neurology TRIED TO SUGGEST that there may be an association between exposure to pesticides and solvents and Parkinson’s Disease. … the evidence is « LIMITED, OR AT LEAST INCONCLUSIVE », because of « LACK OF DEFINITIVE AGREEMENT between cohort and case-control studies ». Yet that didn’t stop them from publishing it. This META-ANALYSIS was based on 89 prospective and case-control studies considering a range of chemicals ― pesticides, herbicides, insecticides, fungicides, rodenticides, solvents, organophosphates, paraquat, and DDT, among others ― and their relation to Parkinson’s Disease. META-ANALYSIS is widely used in EPIDEMIOLOGY. After the META-ANALYSIS, researchers concluded that the risk of developing Parkinson’s Disease was [ somehow ] increased by 33 per cent to 80 per cent due to exposure to these chemicals. The META-ANALYSIS was a FIRST-RATE MESS. CONCLUSIONS from the included studies WERE NOT IN AGREEMENT THE MAJORITY OF THE TIME, and even higher quality studies showed statistically significant associations for solvents, paraquat, and well-water drinking, but they also found REDUCTIONS in Parkinson’s Disease for exposure to insecticides, farming and well-water drinking. How can something ― well-water drinking ― both increase risk of Parkinson’s Disease and also decrease risk ? The answer ― GARBAGE SCIENCE. As if to prove this point, the case-control studies differed in terms of study quality and size and in the prospective studies, estimates of exposure were not determined in the same way. And, the secondary causes of Parkinson’s Disease were completely ignored by the authors. Dr. Gilbert L. Ross is the Executive Director and Medical Director of the American Council On Science And Health ( ACSH ). This is a prime example of a BAD STUDY. First of all, there was SO MUCH VARIATION BETWEEN STUDIES, a point even the authors are aware of, that definitive conclusions cannot be made. And results were clearly CONTRADICTORY as pointed out in the well-water example previously. The one good point made by study authors was that NO ASSOCIATION WAS FOUND BETWEEN DDT AND PARKINSON’S DISEASE. Dr. Josh Bloom is the Associate Director of the American Council On Science And Health ( ACSH ). 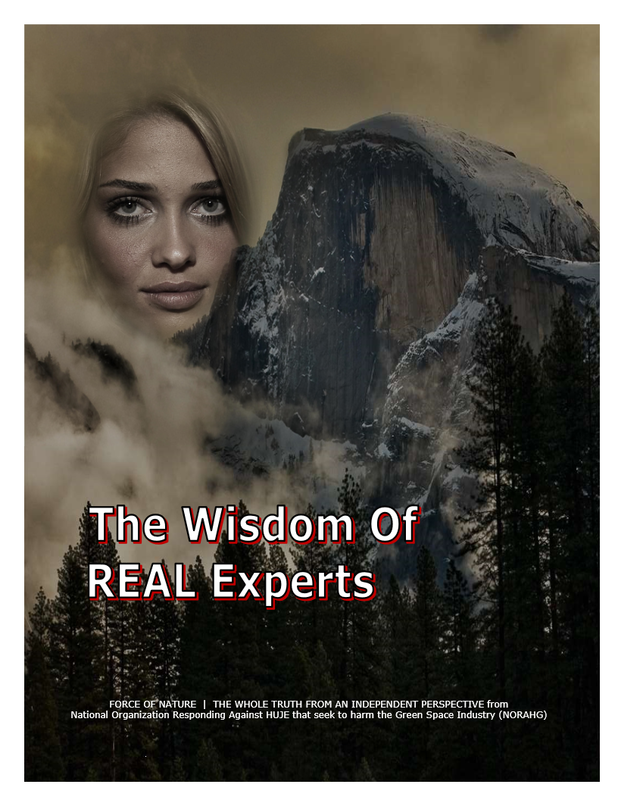 Dr. Bloom points out that the entire premise is BIOLOGICALLY IMPLAUSIBLE. THERE IS NO WAY THAT YOU CAN LUMP THESE SUBSTANCES TOGETHER AND DRAW ANY TYPE OF VALID CONCLUSION. They are all chemically different, work by different mechanisms, and each one is processed in the body in a different way. This is like saying « since a cannon ball is round and kills people, all other round objects are dangerous ». According to this logic, perhaps the Department Of Homeland Security ought to think about banning Nerf Balls. Its core membership is a board of 350 physicians, scientists and policy advisors who review the Council’s reports and participate in ACSH seminars, press conferences, media communications and other educational activities. American Council On Science And Health ( ACSH ) describes itself as a « consumer education consortium ». ACSH describes its mission as « … to add reason and balance to debates about public health issues and bring common sense scientific views to the public ». ACSH frequently defends science against claims that industry products create risks of injury, ill-health or death. 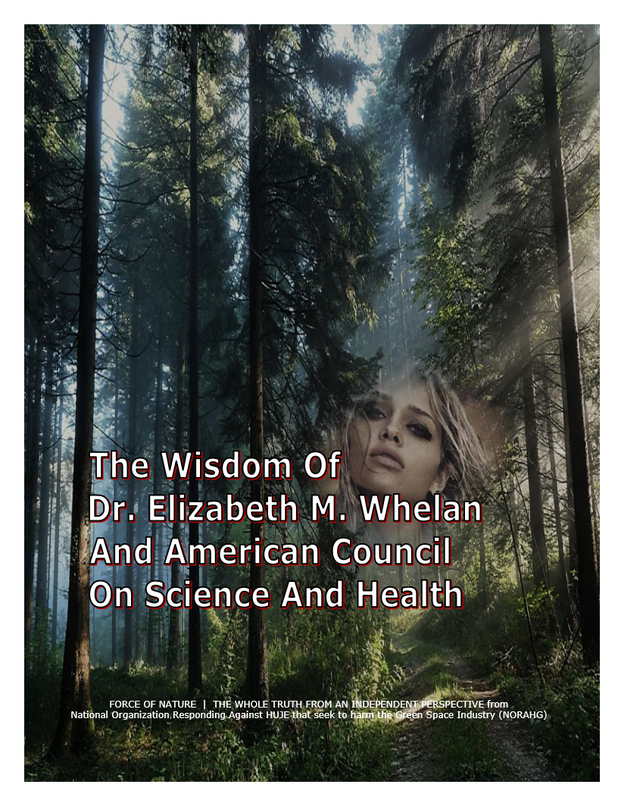 Dr. Elizabeth M. Whelan is President of the American Council On Science And Health ( ACSH ) and a member of its Board Of Trustees. In 1978, she founded ACSH, a consumer education-public health organization. Dr. Whelan is a graduate of Connecticut College. She has a Master’s Degree in Public Health from the Yale School of Medicine, a Master Of Science from the Harvard School of Public Health, and a Doctor Of Science from the Harvard School of Public Health. Dr. Whelan is the author or co-author of twenty-three books on nutrition, smoking, and environmental issues. She has authored or co-authored over 300 ARTICLES for popular and professional publications such as • Across The Board • Health Confidential • Journal Of The American Medical Association. And NEWSPAPERS such as • New York Post • The Wall Street Journal. Dr. Whelan has many PROFESSIONAL AFFILIATIONS and HONORARY POSITIONS in associations such as • American Institute Of Nutrition • American Medical Writers Association • Men And Women In Science. Dr. Whelan has received many AWARDS, including • American Institute Of Chemists • American Public Health Association. Dr. Bloom is an Organic Chemist, and has worked in the pharmaceutical industry for about twenty years. Dr. Ross received his undergraduate degree in Chemistry from Cornell University’s School of Arts and Sciences in 1968, and received his M.D. from the N.Y.U. School of Medicine in 1972. According to Anti-Pesticide Neuro-Scientist Mona Thiruchelvam and her colleagues. pesticides have somehow been implicated as risk factors in Parkinson’s disease, a degenerative disorder of the central nervous system. However, in 2012, the U.S. Office of Research Integrity found Thiruchelvam, a Federally-Funded Pesticides Researcher, GUILTY OF FAKING DATA. At University of Medicine and Dentistry of New Jersey, Anti-Pesticide Neuro-Scientist Mona Thiruchelvam had FAKED CELL COUNTS in two grant applications and a number of papers that claimed to show how the pesticides paraquat, maneb, and atrazine might somehow affect parts of the brain involved in Parkinson’s Disease. When the case was passed to the U.S. Office of Research Integrity ( ORI ) for oversight review, agents used FORENSIC COMPUTING SOFTWARE to determine that MANY OF THE FILES, DESPITE HAVING DIFFERENT FILE NAMES AND DATES, WERE IDENTICAL IN CONTENT. Consequently, Thiruchelvam agreed to RETRACT two of her papers. Thiruchelvam LEFT University of Medicine and Dentistry of New Jersey, and is now BARRED FROM RECEIVING FEDERAL GRANTS FOR SEVEN YEARS. Moreover, the whole line of experiments by Thiruchelvam may have been POINTLESS AND BADLY DESIGNED, without regard to data quality issues. 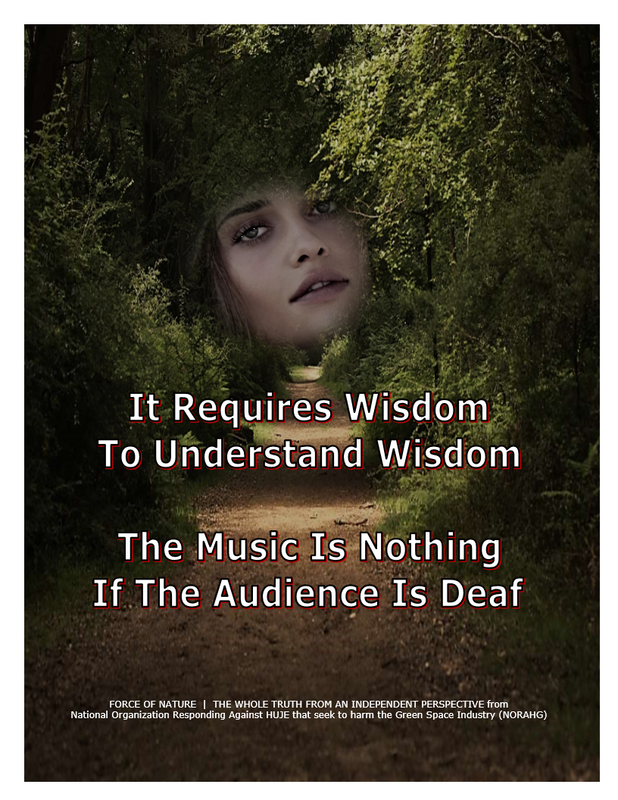 For example, Thiruchelvam’s injecting of paraquat directly into the fetal brain tissue of mice was unlikely to do their neural development much good, but that experiment NEVER PROVIDED ANY USEFUL INFORMATION about either pesticides or Parkinson’s Disease. Despite being DISCREDITED AND GUILTY OF FAKING DATA, Thiruchelvam is a GRANT RECIPIENT of Michael J. Fox Foundation. In statistics, a META-ANALYSIS refers to methods focused on contrasting and combining results from different studies, in the hope of identifying patterns among study results, sources of disagreement among those results, or other interesting relationships that may come to light in the context of multiple studies. In other words, META-ANALYSIS goes looking for problems where NONE exist. The MOST SEVERE FAULT in META-ANALYSIS often occurs when the people doing the META-ANALYSIS have an economic, social, or political agenda such as the CONSPIRACY TO PROHIBIT PEST CONTROL PRODUCTS. META-ANALYSIS, a MERE statistical tool, is widely used in EPIDEMIOLOGY. The RISK ASSESSMENT of pest control products indicates that they are PRACTICALLY-NON-TOXIC. There is NOT ONE KNOWN ILLNESS OR DEATH from the proper use of pest control products used in the Urban Landscape. Epidemiology Studies Are Not Used By Health Canada ?!?! Pest control products are regulated by Health Canada’s Pest Management Regulatory Agency ( PMRA ), which requires thorough scientific reviews and safety assessments to ensure they meet strict health and environmental standards and are shown to have value. Pest control products are one of the most stringently regulated products in Canada. Nonetheless, NON-EXPERT Anti-Pesticide Lunatics ALLEGE that Health Canada is somehow « weak » in examining Epidemiology Studies when evaluating the safety of pest control products. This is merely an attempt to INVALIDATE the CREDIBILTY of Health Canada. EPIDEMIOLOGY is the study of the causes, distribution, and control of health problems in populations. However, EPIDEMIOLOGY STUDIES cannot be relied upon ALONE, and MUST BE BACKED-UP WITH ANIMAL TOXICITY STUDIES. These ANIMAL TOXICITY STUDIES are assessed to determine if there is any biological basis for the POTENTIAL ASSOCIATIONS noted in EPIDEMIOLOGY STUDIES. The examination of ANIMAL TOXICITY STUDIES from internationally-accepted guideline studies using doses well-above those to which humans are typically exposed, combined with exposure data obtained from well-designed studies, is currently a useful methodology available for assessing risks to human health. Health Canada’s Pest Management Regulatory Agency ( PMRA ) undertakes this kind of ASSESSMENT to SUPPLEMENT INFORMATION about POTENTIAL ASSOCIATIONS that may be established by EPIDEMIOLOGY STUDIES. This approach is consistent with that of other regulatory authorities that base human health risk assessments on ANIMAL TOXICITY DATA. NON-EXPERT Anti-Pesticide Lunatics ALLEGE that Health Canada uses ANIMAL TOXICITY DATA that are somehow not reliable. In fact, if a pest control product actually could cause cancer, it is fairly certain that this would be ascertained through the EXTENSIVE TESTING PROCEDURES required before it is registered for use in Canada. Dr. Connie Moase is Director, Health Effects Division II, Health Evaluation Directorate, Pest Management Regulatory Agency of Health Canada. For any known human carcinogen, whatever the chemical might be — I’m not speaking directly to pesticides — THE ANIMAL MODELS THAT HAVE BEEN USED HAVE SHOWN TO BE POSITIVE FOR ANYTHING THAT'S KNOWN TO BE CARCINOGENIC TO HUMANS AS WELL. So they are well understood predictors of potential human toxicity, and those are the models that are well worked out and used for toxicity testing. Dr. Stan Young is a Statistician at National Institute Of Statistical Sciences In Research, Triangle Park, North Carolina. 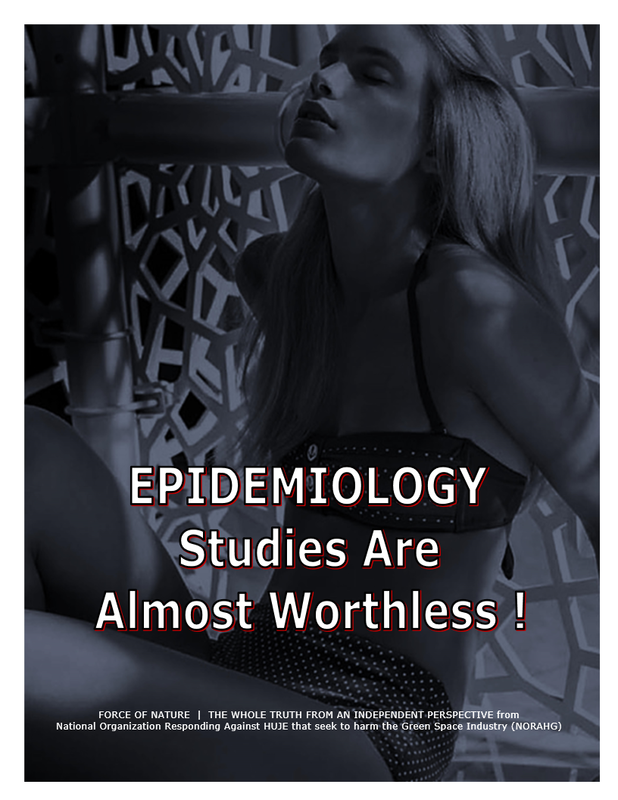 … EPIDEMIOLOGY studies are SO OFTEN WRONG that they are coming close to being WORTHLESS. We spend a lot of money and we could make claims just as valid as a random number generator. REFERENCE — EPIDEMIOLOGY STUDIES — 2007 09 17 — ANDREAS VON BUBNOFF — NUMBERS CAN LIE — VITAMINS, HORMONES, COFFEE — TODAY THEY’RE GOOD, TOMORROW THEY’RE BAD — WHY ALL THE FLIP-FLOPS ? Dr. Geoffrey C. Kabat is a Cancer Epidemiologist at Albert Einstein College Of Medicine and the author of « Hyping Health Risks : Environmental Hazards In Daily Life And The Science Of Epidemiology ». According to Dr. Kabat, epidemiologists have long been aware of the baleful effects of CONTRADICTORY FINDINGS reported in the media, which CONFUSE THE PUBLIC about what threats to health are worth worrying about. However, only recently have prominent epidemiologists begun to critically examine their own discipline and to speak out about the FALSE POSITIVES ― initial findings that LATER PROVE TO BE WRONG. FALSE POSITIVES are latched onto by the media, the public, advocacy groups, and regulatory agencies. In 2005, Epidemiologist John Ioannidis published a paper entitled WHY MOST RESEARCH FINDINGS ARE FALSE. • RESEARCHERS’ DESIRE FOR THEIR RESULTS TO BE MEANINGFUL. • THE STRONG MOTIVATION OF PROFESSIONAL ADVANCEMENT. Sir Richard Doll and Sir Austin Bradford Hill were the British authors behind the momentous 1950 study. Sir Richard Doll has been designated as « THE GREATEST EPIDEMIOLOGIST OF THE 20TH CENTURY ». In 2003, Sir Richard delivered a lecture in Guelph, Ontario. Sir Richard gave a public lecture in Guelph. Afterward, a city councillor asked whether he’d support a BAN ON PESTICIDES in the city. « NO », he said, to her immense surprise. Canadian Cancer Society CONSPIRES to PROHIBIT against pest control products that are HEALTH-CANADA-APPROVED, FEDERALLY-LEGAL, SCIENTIFICALLY-SAFE, PRACTICALLY-NON-TOXIC, and CAUSE NO HARM. Canadian Cancer Society is a FUND-RAISING, PROFIT-SEEKING, and LOBBYING organization, and NOT a science, research, or health organization. Health Canada, and NOT Canadian Cancer Society, has THE ESSENTIAL EXPERTISE on the subject of pest control products. Observers do not understand how Canadian Cancer Society has trouble comprehending information provided by Health Canada regarding the OVERWHELMING EVIDENCE THAT PEST CONTROL PRODUCTS ARE SCIENTIFICALLY-SAFE. Observers have tried to follow the trail ( a.k.a. growing body ) of information against pest control products provided by Canadian Cancer Society, but to no avail. Canadian Cancer Society is NOT PROVIDING ANY INFORMATION THAT IS FACTUAL. Canadian Cancer Society implies that that Health Canada is LYING TO THE PUBLIC ? NO LEADING EXPERTS WERE EVER CONSULTED by Canadian Cancer Society, and yet, it CONCOCTED IMAGINARY DANGER about pest control products by alleging that it consulted with the HIGHEST QUALITY SCIENTIFIC EXPERTS. Canadian Cancer Society should LEAVE THE FACTS ON PEST CONTROL PRODUCT SAFETY UP TO THE EXPERTS AT HEALTH CANADA. Canadian Cancer Society is NOT BEING HONEST since it is CHERRY-PICKING VERY WEAK EPIDEMIOLOGICAL STUDIES, and PRETENDS that this is the ONLY evidence that is available. It CHERRY-PICKED A MERE 100 EPIDEMIOLOGY STUDIES ! Furthermore, Canadian Cancer Society has STATED REPEATEDLY that scientific research does NOT provide a conclusive link between pest control products and cancer. Why is Canadian Cancer Society WASTING EVERYBODY’S TIME on the issue of pest control products ? Canadian Cancer Society is RIDICULOUSLY IMPLYING that its NON-EXPERT ASSESSMENT is somehow being withheld from Health Canada and EVERY other regulatory agency in the world. INDISPUTABLE and CONCLUSIVE SCIENTIFIC RESEARCH shows that, as reported through Health Canada’s VAST TOXICOLOGY DATABASE, NO HARM WILL OCCUR when pest control products are used according to label directions. There is a GROWING and CONCLUSIVE BODY OF EVIDENCE about Canadian Cancer Society SQUANDERING AND MISAPPROPRIATING its PUBLIC DONATIONS on SUBVERSIVE and PARTISAN ANTI-PESTICIDE CONSPIRACIES. Canadian Cancer Society claimed to possess a MERE 100 EPIDEMIOLOGY studies somehow linking pest control products to cancer. Health Canada has estimated that ABOUT 23 MILLION PAGES OF SCIENTIFIC STUDIES have been used to support the decisions made about pest control products. We estimated that just proprietary studies that are sub-mitted to us, which we keep on file, AMOUNTED TO ABOUT 23 MILLION PAGES OF SCIENTIFIC STUDIES that are used to support the decisions that we make on pesticides, which is FAIRLY SIGNIFICANT. Furthermore, Canadian Cancer Society FAILED TO EXPLAIN that its 100 STUDIES are ALL EPIDEMIOLOGICAL OBSERVATIONAL STUDIES WITH VERY WEAK LINKS between pesticides and disease. EPIDEMIOLOGY studies identify associations rather than causation, and are examined IN CONJUNCTION WITH well conducted toxicity studies that are specifically designed to elicit toxic effects over a series of dose levels. These animal toxicity data are assessed to determine if there is any biological basis for the potential associations noted in EPIDEMIOLOGY studies. The examination of animal toxicity data from internationally accepted guideline studies using doses well above those to which humans are typically exposed, combined with exposure data obtained from well-designed studies, is currently a useful methodology available for assessing risks to human health. Health Canada’s PMRA undertakes this kind of assessment to supplement information about associations that may be established by epidemiology studies. Canadian Cancer Society has SQUANDERED OVER 5,000,000 DOLLARS ON NEEDLESS ANTI-PESTICIDE CONSPIRACIES. Dr. Lorne Hepworth is among several LEADING EXPERTS who have recognized expertise, training and background in matters concerning pest control products. Dr. Hepworth is also Canada’s MOST EFFECTIVE AND CONSISTENT SPOKESMAN on the subject of public policy and pest control products. If the CANADIAN CANCER SOCIETY has information to back up its pesticide claims it is IRRESPONSIBLY SQUANDERING ITS EFFORTS ON MUNICIPAL [ ANTI-PESTICIDE ] CAMPAIGNS rather than presenting « proof » to Health Canada, which regulates the products, or to the industry, which runs hundreds of tests on each and every product seeking federal government registration. Furthermore, if the CANADIAN CANCER SOCIETY had even a shred of relevant, compelling information Health Canada would be all over it. After all, the health of Canadians is Health Canada’s top priority and it is mandated to assess all scientifically credible evidence available regarding the pesticides it has approved for sale and use. If the CANADIAN CANCER SOCIETY does know something about the safety of pesticides that the rest of us do not, they have an obligation to bring it to Health Canada so it can be investigated. Ontario College Of Family Physicians ( OCFP ) has CONSPIRED to PROHIBIT against pest control products that are HEALTH-CANADA-APPROVED, FEDERALLY-LEGAL, SCIENTIFICALLY-SAFE, PRACTICALLY-NON-TOXIC, and CAUSE NO HARM. In 2004, Ontario College Of Family Physicians CONCOCTED an Anti-Pesticide Literature Review of CHERRY-PICKED WEAK EPIDEMIOLOGY STUDIES. The BOGUS OCFP Anti-Pesticide Literature Review of CHERRY-PICKED WEAK EPIDEMIOLOGY STUDIES was NEEDLESSLY ALARMIST with its ALLEGATIONS that pest control products MAY be the cause of certain types of cancer. It was a PRINCIPAL PARTISAN ARCHITECT with the Ontario McGuinty Government in CONSPIRING TO PROHIBIT pest control products used in the Urban Landscape. Unfortunately, the OCFP Anti-Pesticide Literature Review DID NOT CONSIDER ALL OF THE RELEVANT EPIDEMIOLOGY EVIDENCE. What is not explained in the OCFP Anti-Pesticide Literature Review is that the so-called evidence against pest control products consisted of some EPIDEMIOLOGY studies showing a WEAK ( in most cases, a VERY WEAK ) link between some pest control products and cancer. The best method for assessing risks to human health is the examination of ANIMAL TOXICITY DATA from internationally-accepted guideline studies, which OCFP DID NOT DO. OCFP DID NOT conduct a serious scientific study of EPIDEMIOLOGY STUDIES … it conducted a mere Literature Review, and could only use those reports found in the OPEN PUBLIC LITERATURE. OCFP was NOT even in « The Information Loop » on issues regarding pest control products. Moreover, OCFP DID NOT avail itself to the EXTENSIVE TOXICOLOGY DATABASE that is available from Health Canada. Unfortunately, this database is NOT DIRECTLY AVAILABLE TO OUTSIDE GROUPS like OCFP. OCFP never even bothered to request to look at the TOXICOLOGY DATBASE through a process that Health Canada refers to as The Reading Room. The authors and reviewers of the Anti-Pesticide Literature were not only SCIENTIFICALLY IGNORANT, they were LAZY AND STUPID. This organization is a DISCREDITED, RADICAL, and SCIENTIFICALLY IGNORANT Anti-Pesticide Organization. Health Canada, and NOT OCFP, has THE ESSENTIAL EXPERTISE on the subject of pest control products. The Anti-Pesticide Literature Review was BOGUS, BIASED, DISGRACEFUL, FALSE, MISLEADING, and SUBVERSIVE, and had absolutely NO CREDIBILITY in the legitimate scientific community, and has been DISCREDITED, DEBUNKED, and REFUTED by Health Canada and by The Royal Commission on Environmental Pollution and by SEVERAL LEADING EXPERTS. John J. Holland is among several LEADING EXPERTS who have recognized expertise, training and background in matters concerning pest control products and public policy. Mr. Holland is Communications Director for Integrated Environmental Plant Management Association Of Western Canada ( IEPMA ). He is Canada’s MOST ELOQUENT and INTELLIGENT WRITER on the subject of public policy and pest control products. This [ OCFP ] « study » has been widely used by anti-pesticide groups as part of their claim of a « growing body of evidence », and has then been accepted by many municipalities as proof of pesticide carcinogenicity. However, [ OCFP ] the Review has been INTERNATIONALLY DISCREDITED, due to the fact it consists of CHERRY-PICKED EPIDEMIOLOGICAL STUDIES, with VIRTUALLY NO REFERENCE TO IMPORTANT AND RELEVANT TOXICOLOGICAL RESEARCH. As you may be aware, there are also numerous MISLEADING ― or UNSCIENTIFIC ― studies with such a negative point of view, such as the Ontario College of Family Physicians’ [ OCFP ] Pesticide Literature Review ( 2004 ). THIS REVIEW HAS BEEN USED TO SUPPORT ALMOST EVERY PROPOSED PESTICIDE BAN, from the Municipal to the Provincial ( e.g., Ontario ) level. The information used by those like the OCFP has been CHERRY-PICKED by the physicians ― NOT SCIENTISTS ― writing the report, and the report has been DISCOUNTED by many scientists and government experts in this and other countries. Studies used are generally all epidemiological, and links to cancer and other diseases have been WEAK and NOT CONSISTENT from study to study. Toxicological studies DO NOT CONFIRM the EPIDEMIOLOGICAL findings. By definition, EPIDEMIOLOGY CANNOT FIND CAUSES ― they merely suggest correlations, and the basic tenet of EPIDEMIOLOGY is that CORRELATION DOES NOT MEAN CAUSATION. Studies must also be consistently reproducible before a finding can be found meaningful. At any rate, the OCFP study ignored or down-played other important EPIDEMIOLOGY studies that did not conform to its premise of the dangers of pesticides ( again, check with the PMRA ). Dr. Frank N. Dost is among several LEADING EXPERTS who have recognized expertise, training and background in matters concerning pest control products. Dr. Dost is Emeritus Professor of Agricultural Chemistry And Forest Toxicology, Oregon State University, and Fellow of the Academy Of Toxicological Sciences. In my view, the OCFP report FAILS SEVERAL IMPORTANT SCIENCE TESTS, and SHOULD NOT BE USED AS A GUIDE TO SETTING POLICY ON PESTICIDE USE. Indeed, I question whether the OCFP paper should have been made public, given that IT WAS NOT SUBJECT TO RIGOROUS EXTERNAL PEER SCRUTINY. This document [ OCFP REVIEW ] DOES NOT DESCRIBE THE HEALTH IMPACT OF PESTICIDES. It should NOT supplant the judgment of Health Canada on regulatory policy issue. Dr. Keith Ross Solomon is among several LEADING EXPERTS who have recognized expertise, training and background in matters concerning pest control products. According to Dr. Solomon is the nation’s LEADING EXPERT IN THE FIELD OF ENVIRONMENTAL BIOLOGY, TOXICOLOGY, AND PESTICIDE SAFETY. Dr. Solomon is Professor of Environmental Biology and Director at the Centre For Toxicology, University Of Guelph. The OCFP Anti-Pesticide Literature Review somehow made some links between pest control product exposure and diseases in humans. Ontario College of Physicians [ … ] made some CONCLUSIONS about linkages between pesticide exposure and diseases in humans. [ … ] there are some ISSUES with this report. First of all, IT’S BASED ONLY ON EPIDEMIOLOGY. MANY STUDIES WERE OMITTED FROM THEIR REPORT. It DIDN’T CONSIDER THE TOXICITY DATA that PMRA [ Pest Management Regulatory Agency Of Health Canada ] and other agencies use. It DIDN’T CONSIDER THE EXPOSURES, and it DIDN’T CONSIDER THE PUBLISHED REGULATORY REVIEWS from PMRA and the U.S. EPA and other agencies. In terms of EPIDEMIOLOGY [ … ] EPIDEMIOLOGY is the study of diseases in humans. They’re good organisms to study, but we are extremely difficult to work with because we don’t always say what we do. These [ EPIDEMIOLOGY ] studies are really based only on correlation and suggested links, and they CANNOT ESTABLISH CAUSALITY ON THEIR OWN. [ … ] the Ontario College Of Family Physicians report WAS NOT VERY WELL DONE, but others have done the same thing. These people [ CRITICS OF OCFP ] are not even from Canada, so I don’t think there’s any axe to grind here at all. But the U.K. Advisory Committee on Pesticides basically said that this [ OCFP ] report didn’t raise any new concerns, and there was NO REASON FOR ADDITIONAL REGULATORY ACTION in the United Kingdom. There was another opinion on this report from the Royal Commission On Environmental Pollution. The quotation [ … ] from this is that, basically, STRONG CONCLUSIONS WERE BEING DRAWN FROM EVIDENCE THAT WAS OF VERY WEAK QUALITY. In light of the public interest in the Anti-Pesticide Literature Review, Health Canada issued a media release on August 4th, 2004. Health Canada’s respected Pest Management Regulatory Agency ( PMRA ) is the federal regulatory body responsible for the regulation of pest control products in Canada. As the OCFP report notes, some population groups, such as children and pregnant women, may be more susceptible to potential effects of pesticides. This is why PMRA assessments include the application of EXTRA SAFETY FACTORS to ensure that the most sensitive sub-populations are protected. For example, the PMRA PAYS SPECIAL ATTENTION TO THE UNIQUE EXPOSURES AND PHYSIOLOGICAL CHARACTERISTICS OF CHILDREN, ensuring that factors such as their unique behaviours, different diets and lower body weights are considered. The OCFP report is a review of EPIDEMIOLOGY studies selected from the public scientific literature. There are many such studies published which suggest that there MAY OR MAY NOT be associations between adverse health effects and pesticide exposure. As the report acknowledges, EPIDEMIOLOGY STUDIES ARE HARD TO INTERPRET because of BIASES AND CONFOUNDING FACTORS that make it very difficult to either establish or definitively rule out links between pesticide exposures and effects. For example, other chemical and physical environment effects are usually encountered at the same time as pesticide exposures and biases in the exposures remembered by study participants may affect the result. Without an actual exposure calculation, it is difficult to assess whether pesticides could have been responsible for an adverse health outcome. When determining the acceptability of a pesticide, PMRA scientists CRITICALLY EXAMINE THE TOTALITY OF THE SCIENTIFIC DATABASE for pesticide active ingredients and end-use products, including the types of studies in the OCFP report. When new studies in the public literature are released, the PMRA examines them to determine if further regulatory action is required on the pesticides mentioned in the study. Ontario College Of Family Physicians claimed to possess a MERE 140 EPIDEMIOLOGY studies somehow linking pest control products to cancer. The Ontario College of Family Physicians ( OCFP ) is strongly recommending the public reduce their exposure to pesticides wherever possible, based on the findings [ OF A LIMITED NUMBER OF EPIDEMIOLOGY STUDIES ] of its second comprehensive review of research on the effects of pesticides on human health. OCFP ALLEGED having A MERE 140 UNDISCLOSED, NON-EXISTENT, AND UNVERIFIABLE SECRET EVIDENCE about the safety of pest control products. The findings of this LIMITED NUMBER OF EPIDEMIOLOGY STUDIES can be EASILY CHALLENGED. How could this Anti-Pesticide Organization obtain studies that have somehow been withheld from the entire world ? Moreover, pest control products like 2,4-D Herbicide have been the subject of over 40,000 STUDIES. Furthermore, since 1988, The Industry Task Force II on 2,4-D Research Data has submitted to U.S. Environmental Protection Agency over 250 studies concerning mammalian and environmental toxicology, environmental fate and residues. 2,4-D is probably THE MOST studied and best understood of ANY chemical … not just pesticide … in existence. INDISPUTABLE AND CONCLUSIVE SCIENTIFIC RESEARCH shows that NO HARM WILL OCCUR when pest control products like 2,4-D are used according to label directions. The following LEADING EXPERTS have recognized expertise, training and background in matters concerning pest control products.